There are films that simply should not be made, and this is clearly one of them. The historical context in which a work of mass communication is created and distributed should be taken into account by morally responsible artists. Almost always, it isn’t. 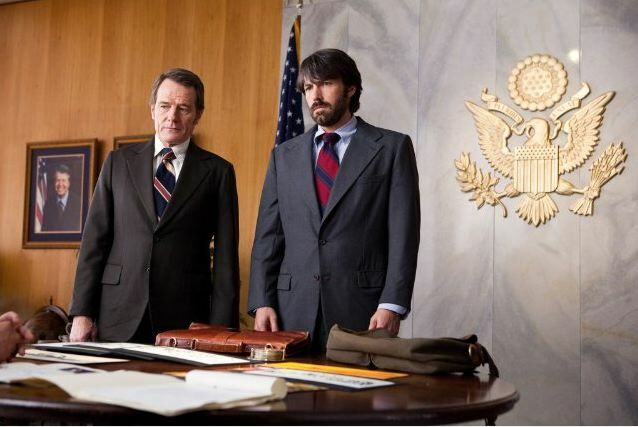 Affleck (as Mendez), and Bryan Cranston. By raising still higher the probability of a horrendous war in the Gulf, by glorifying what Western intelligence agencies actually do in our name, Affleck and Clooney are not doing us any favors, and no amount of entertainment can justify such undertakings. If they really sat down and thought about it perhaps they might finally get it, but I doubt it. Insulated, privileged creatures like big Hollywood celebs are largely immune to the deeper political truths that define the planet’s current dilemmas. In any case, whatever Argo’s cinematic value, this is a film to avoid. Political obtuseness, artistic vanity, or worse—witting complicity with the forces that are bringing this poor world to a tragic end—are not to be rewarded.